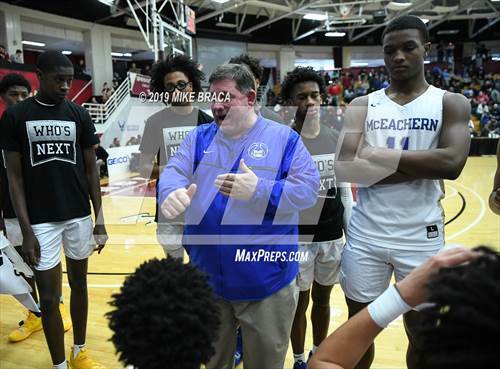 Mike Thompson boasts a 270-57 record in 11 year at the helm of the McEachern (Powder Springs, Ga.) boys basketball team. The one thing that's eluded Thompson and McEachern? A state championship. They checked that box this season with a Georgia Class AAAAAAA state title, beating defending champion Meadowcreek (Norcross, Ga.) 62-54, as Thompson's group of seniors finished their careers with a record of 110-8 over the past four seasons. For McEachern's title, the impressive resume of wins throughout the season and its No. 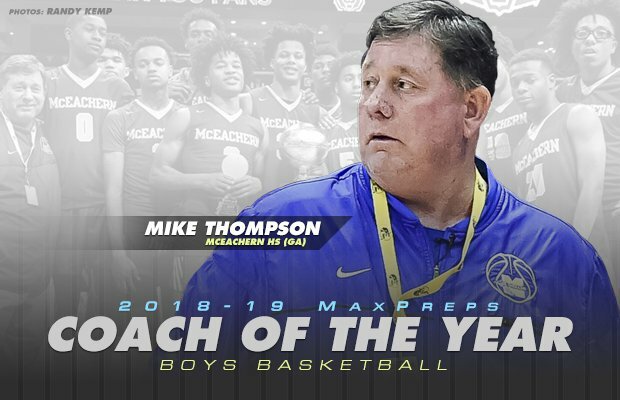 2 finish in the Top 25 rankings, Thompson was named the MaxPreps 2018-19 national boys basketball Coach of the Year. See where McEachern landed on the list after its impressive season. The Indians entered the season with high expectations, beginning the year ranked No. 9 in the MaxPreps Top 25 national rankings. They quickly climbed to No. 1 after capturing the City of Palms Classic title — notching signature wins over Paul VI (Fairfax, Va.) 59-52, Mountain Brook (Birmingham, Ala.) 50-29 and Imhotep Charter (Philadelphia) 68-47 along the way. After a 12-day layoff, the Indians added a second title — this one at the Cancer Research Classic. 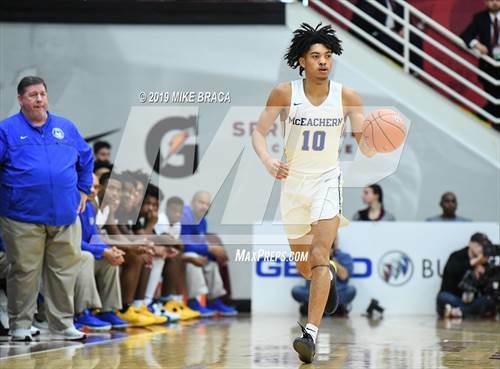 McEachern opened with a 60-53 hard-fought win over Findlay Prep (Henderson, Nev.). 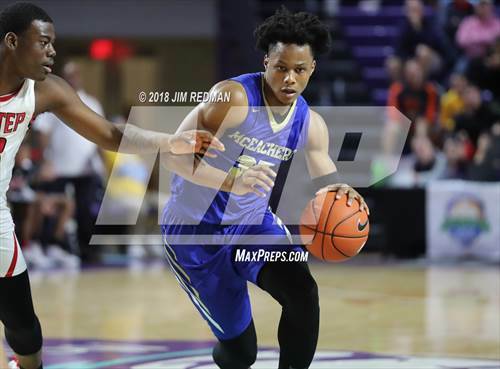 The following night, in a City of Palms title-game rematch, the Indians trailed Imhotep Charter by 15 points before clawing back to remain unbeaten with the 62-58 victory. 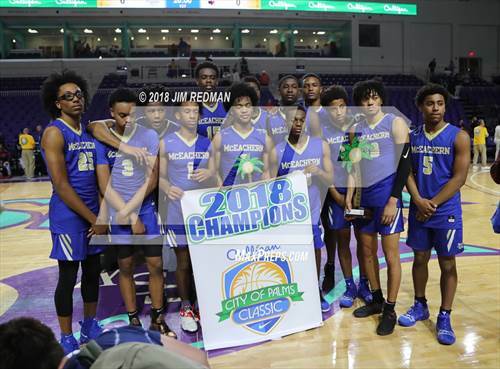 Following two wins over local opponents, McEachern was back on the road to compete at the Bass Pro Tournament of Champions. In the Midwest, the Indians continued their high level of play, knocking off previously unbeaten Springfield Catholic (Springfield, Mo.) 75-42 before taking down two Top 25 opponents Shadow Mountain (Phoenix) 73-61 and Sunrise Christian Academy (Bel Aire, Kan.) 50-46 in an overtime thriller. 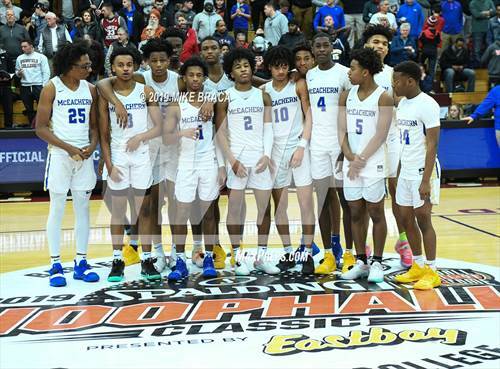 In their last out-of-state stop of the season, the Georgia powerhouse traveled to the Spalding Hoophall Classic directly after their title-game win at Bass Pro, completing the "Springfield Double" by taking down Rancho Christian (Temecula, Calif.) with an impressive 66-55 victory. The last stretch of the season was the most important for Thompson and his group, as their biggest goal of the season was to finally capture the state title after making the state quarterfinals in each of the past three seasons. The Indians began their postseason run with three consecutive victories, taking down East Coweta (Sharpsburg, Ga.) 89-54, Cherokee (Canton, Ga.) 83-51 and Peachtree Ridge (Suwanee, Ga.) 70-50. In the semifinals, the Indians faced Norcross (Ga.), the team that knocked them out in the state quarterfinals in a 20-point stunner a year ago. 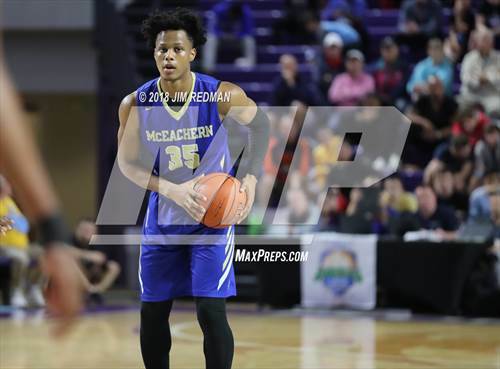 McEachern won a 66-62 overtime thriller in what may have been the game of the year in the Peach State. One week later, the Indians wrapped up their first title with the 62-54 win over Meadowcreek, and in the process, the Georgia Public School finished 32-0 and ranked No. 2 in the national sandwiched between basketball academies IMG Academy and La Lumiere. 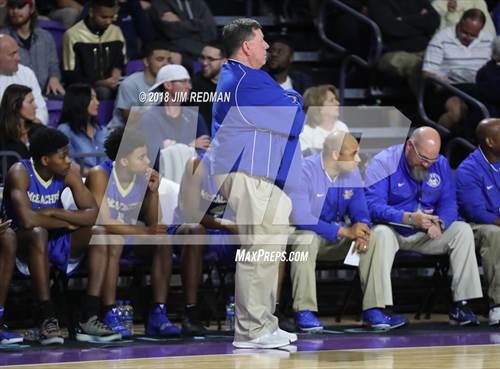 McEachern ended the year with five wins against Top 25 opponents and 10 wins over teams in the final top 100 rankings as Thompson coached one of the most cohesive groups in high school basketball with stifling defense all season long leading the way for the unbeaten Indians.